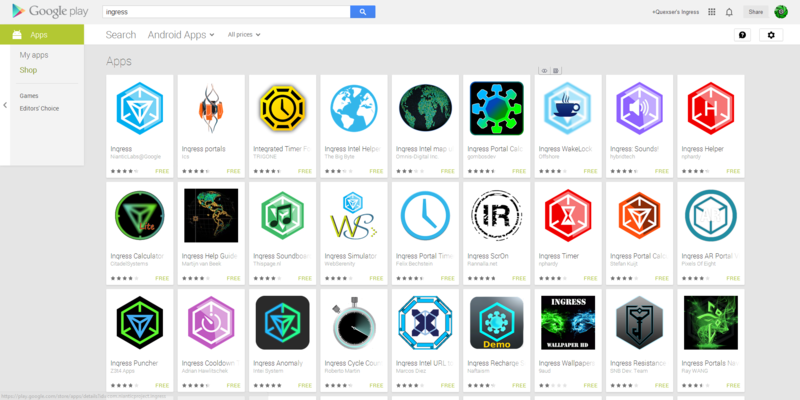 I should write a post on apps from the play store that might help players with Ingress. I want to start out by saying I will not be recommending apps that are against the Tos such as IITC. I Do believe Google could do a MUCH better Intel Map than they are currently putting out there for us to use. I mean they’re Google for goodness sake! There are may apps on the Play Store that have some helpful tools. More of the advanced players may have all their information memorized by now but, new players can definitely benefit from the information. I will try to cover the ones I used climbing the ranks. This is one of the first ones I used, it has a bounty of information. It’s easy to use and figure out. It can tell you just about anything that directly relates to a portal and a few things that do not. All around great App for someone learning the basics to planing the exact resonator build to link a specific distance. I sometimes still refer to it from time to time. Alright, This App has absolutely zero benefit for information… But, it is great for logging your play time. It doesn’t log the time it’s just sitting idle, just keeps track of the actual time playing. It might surprise you to realize how much you are actually playing. It would be great if you could plug in fuel costs into it as well. This App only comes in handy once in a while. If i’m out of town farming keys, or just sitting at a Portal with Multi Hacks and Heat Sinks, I set it for what Mods are in the Portal and it does the math for me. Also reminds me of when another pass through the farm is ready for action. It’s kinda one of those things you can live with out, but is handy to use on occasion. I hate looking down to see my screen off when I want to do something, this fixes the issue with any Apps I choose.